Bloober Team’s breakout title Layers of Fear quenched a lot of thirsts after Kojima Production’s Silent Hills was cancelled, riding the wave of P.T.-inspired horror games that filled the genre for some months. Despite its allusions to being inspired by P.T., I noted that Layers of Fear stood on its own for the most part in my review, showcasing the studio’s admirable skills in creating striking imagery and jump scares that felt calculated rather than cheap. 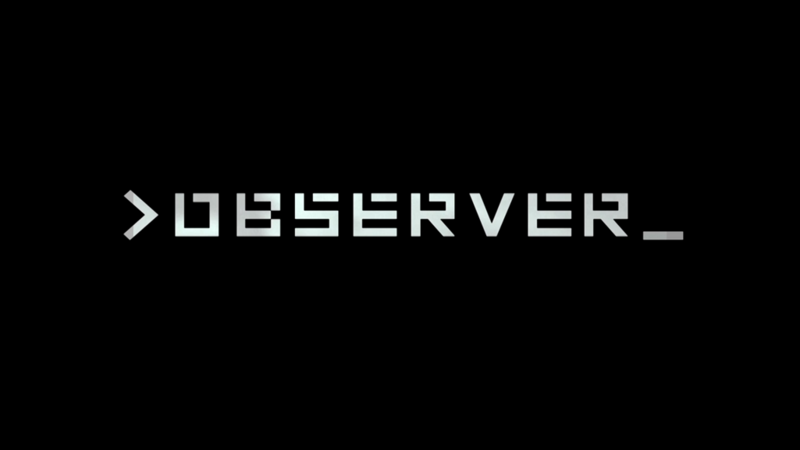 With Layers of Fear behind them, Bloober has embarked on a new horrific quest set in a cyberpunk future with their upcoming title Observer. With just a 15 minute demo, I’m already sold. The year is 2084. Mankind, as it tends to do, struggles with class-based divides. Major corporation Chiron seized political power after civil war, and the only side that won was the rich. Bloober Team has developed a substantial backstory for Observer, setting the stage potentially not just for this one game, but perhaps several. Deus Ex fans may find some similarities with its near-future analogue, splitting mankind into groups of the elite able to afford their status-raising augments and the poor, who scrounge to get by to simply function correctly. A disease called the nanophage is a constant threat to poor augmented people packed into ghettos, as the aggressive sickness is transmittable by physical contact and can go digitally airborne via wireless signals. The demo begins with protagonist Lazarski, an Observer agent, investigating a disturbance at an apartment building. Observers are heavily augmented detectives who solve crimes by entering the minds of fellow augments using a machine called the Dream Eater. By reading into the game’s lore on Bloober’s site, it’s learned that Observers are at a high risk of mental instability from overexposure to the machine. Immediately jumping in, Observer’s art direction is one of awe. As a fan of gritty techno-futuristic things, I couldn’t help but just look around for a bit. I’ve replayed the demo several times to do only that. Even the game’s use of Chromatic Aberration is done exceptionally well, and for the first time I’ll keep this visual effect intentionally on while playing a game. I usually hate it. 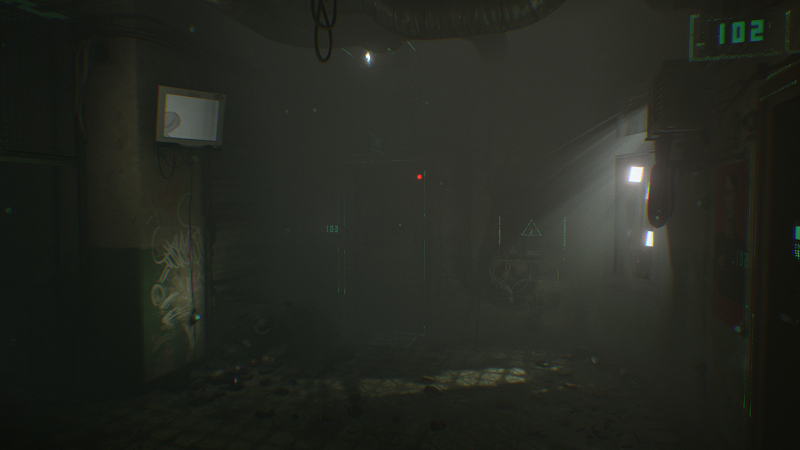 Observer features much more dialogue than Layers of Fear, with Lazarski being able to converse and interrogate those who live in the apartment building. Some light dialogue options are available as well to steer conversations toward getting specific facts. The two occupants who I met were well voice acted, which combined with Lazarski’s own gruff, Tom Waits-esque voice, suggested Bloober stepped up their production budget. With the Dream Eater machine, Observer sets itself up to continue highlighting Bloober’s knack for framing interesting and creative scares and imagery. 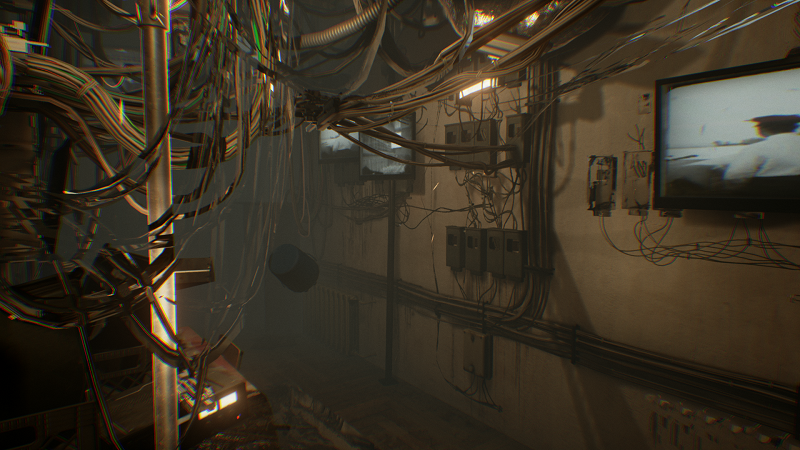 After entering the mind of an assaulted man, Lazarski enters a glitchy and non-linear version of the same apartment building, bombarded by corrupt sounds and an unstable reality. Much like Layers of Fear, this sets the player into a type of haunted house journey, with a series of strange occurrences and frights, each more imaginative than the last. With the switch to Unreal Engine from Unity, Bloober has made quite the impressive looking game. 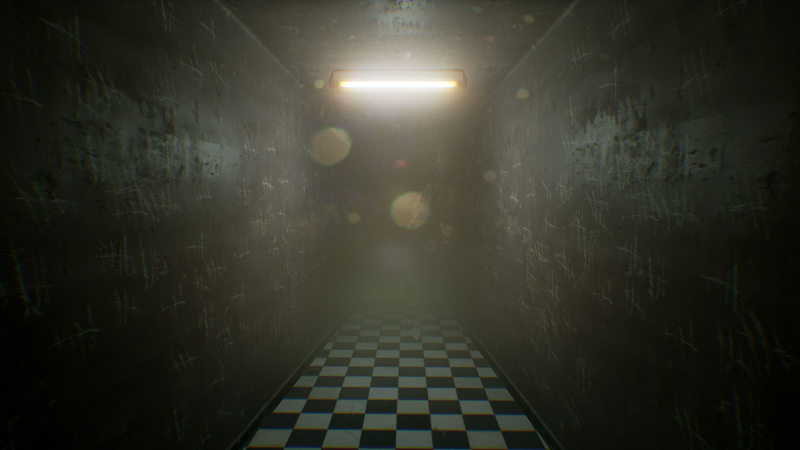 The lighting in particular really compliments the tone of the game, allowing for exceptional framing of the demo’s handful of more elaborate scenes, such as walking down a dim flooded hallway caked in mold while a harsh mechanical rhythm pounds into your head. The sound design is very effective, again tickling my love for industrial aesthetics and music. This 15 minute demo was a treat for the senses. With the threat of those afflicted by the nanophage, and Lazarki’s own endurance with the Dream Eater, Observer looks to attack players with horrors of the psychological and grotesque kind. The demo teases one glimpse at an infected person, but doesn’t show its hand just yet. I’m curious whether Observer will implement more traditional enemy mechanics, like avoidance and hiding on top of its exploration-focused set pieces. Observer ramps up the scares, scale, and production values of Bloober’s Layers of Fear, and based on the demo alone, it’s a contender for horror game of the year. If the full game builds from everything I’ve seen in the demo, Observer will embody the potential I saw in Bloober after playing and liking (but not loving) Layers of Fear. I can’t wait to get my hands on the full game when it releases later this year.